At AWH Solicitors we strive to help those in need get compensated when they’ve suffered unnecessarily. Our industrial disease experts are ready to take on your case and help you claim compensation for health conditions and injury caused or made worse by work. Are you suffering from any of the above, or any other health condition you believe was caused at your place of work? We can help. Our industrial disease experts and solicitors know the legal system inside out, so you can feel safe in the knowledge you’re in the best hands. Whatever your injury or illness, if it was caused or made worse by work then our team are here to help you. We always handle cases with the utmost sensitivity and put our clients first. We can help you assess if you have a claim for industrial disease and explain the process in a straight forward way, leaving out all the legal jargon. Not only are we experts in our field, but from our years of experience we also understand that what you’re going through is very difficult. That’s why we want to help you get the compensation you need to get your life back on track. We understand that illness and injury can really knock you back, and believe that if it’s caused by work, you deserve to be compensated. Your whole world can be turned upside down, you might have to take time off or even stop working. Your personal life might be affected too, which isn’t fair on you or your family and friends. That’s why at AWH Solicitors we want to help people like you get back on your feet after falling ill. We can bring negligent employers to justice and help you get your life going in the right direction again. We understand that hearing loss can have an impact on your life, making social interactions and your work life difficult. You may not be able to hear your loved ones properly, or you might even be in constant pain. Whether you suffer from tinnitus, noise-induced hearing loss or acoustic shock syndrome, the effects have the potential to be devastating. 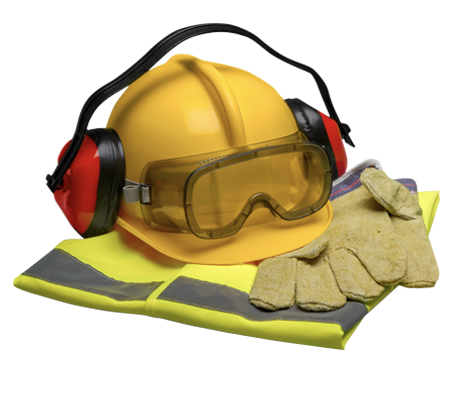 If your hearing loss was caused by exposure to excessive noise in your workplace then we want to help you. Our team will always consider your individual needs and do their best to help you get the compensation you deserve. Carpal tunnel syndrome is a condition which affects your wrist, which frequently develops from working with vibratory tools or doing a lot of heavy lifting and repetitive hand movements. It can be really painful, but it can also be avoided. If your employer hasn’t taken appropriate care to prevent carpal tunnel syndrome from developing, we can help you claim compensation. We want to help you get your life back on track. Asbestos-related diseases can affect anyone who breathes in the dust and it can take decades to develop following the initial exposure. Exposure to asbestos can lead to all sorts of health complications and diseases, such as high blood pressure, asbestosis and lung cancer. Asbestos-related diseases can be really awful, so if you or a family member has developed something like lung cancer because of an employer’s failures, we want to help bring them to justice. If you’ve been exposed to asbestos at work recently or in the past, and are suffering as a result, we want to help you get compensated so that you can move forward with your life. Pleural thickening is a lung disease caused by exposure to asbestos. It causes shortness of breath due to a significant reduction in a person’s lung capacity. Asbestos has long been known to be a very dangerous substance, and exposure to it can make you very ill. Working around asbestos will likely cause health complications, but employer’s can avoid this by protecting their workers. Unfortunately, not all do. If you have pleural thickening because of your employer’s failure to protect you, our industrial disease team can help you claim compensation for your pain, suffering, and financial losses. Mesothelioma is a rare type of cancer caused by asbestos exposure. Often the damage which causes mesothelioma isn’t noticed for years, by which time it has developed and become very serious. Because it has been known that exposure to asbestos can cause cancer for a very long time now, you can claim against your employer if you’ve been diagnosed with mesothelioma. Even if you were exposed years ago. We understand that being diagnosed with mesothelioma can turn your world on its head, but we can help to bring negligent employers to justice and get you the compensation you deserve. Vibration white finger can affect anyone who works with vibratory tools like pneumatic drills. It can be a really painful condition which can affect your day-to-day life. The condition can affect people in different ways, but it most commonly causes a loss of strength and dexterity in your hands. We want to help you get your life back. Our specialist industrial disease solicitors will help you claim compensation for your pain and suffering, and hold your employer accountable so that no one else has to suffer. Back injuries can be really painful and have a huge and permanent impact on your life. When your injury is caused or made worse by work, we believe your employer should be held responsible. You don’t have to let your back injury stop you from living your life to the fullest – let our industrial disease experts help you get the compensation you deserve so that you can move forward with your life. Asthma is a breathing condition which people can be born with or develop later in life. It can also be worsened by exposure to certain substances. If you’re exposed to a harmful substance at work which causes or worsens asthma, and your employer doesn’t take adequate preventative measures then you can file a claim for compensation against them. Our team have years of experience helping people like you who are suffering with asthma due to negligent employers. Let us help you too. Repetitive strain injuries are very common, but also very painful. We understand that if you develop a repetitive strain injury due to your work you feel frustrated that your employer hasn’t done anything to prevent it. We believe negligent employers should be held accountable for their actions, so we do our best to help those suffering from a repetitive strain injury caused by work. Our team understand what you’re going through, and will help you receive compensation so you can look forward to your future. Dermatitis is a skin condition with which a person’s skin becomes inflamed and sore. It often affects people’s hands the most, and can be caused by frequent exposure to chemicals and hazardous substances. If your employer hasn’t taken the correct steps to prevent you from developing occupational dermatitis, our industrial disease solicitors can help you be compensated. Our team strives to make claiming with AWH Solicitors as stress-free as possible. The bottom line is that we are here to help you. We can help you get your life back on track and focus on your healing process after falling ill. Whether it be compensation for pain and suffering or financial losses, our solicitors work hard to get all our clients the result they so very much deserve. We don’t just offer expert legal advice and representation, but support and guidance too. We understand how daunting claiming against current and past employers can be, so we always make sure our clients feel comfortable and happy during every step of the claims process. No matter what illness or injury you have, you deserve to receive compensation so you can look forward to your future. Find out how we can support you with your industrial disease claim today. The expertise of our industrial disease team is clear from our many success stories. From occupational asthma to mesothelioma claims, our team have worked hard consistently for years to get our clients the best results and help them to move onwards and upwards with their lives.